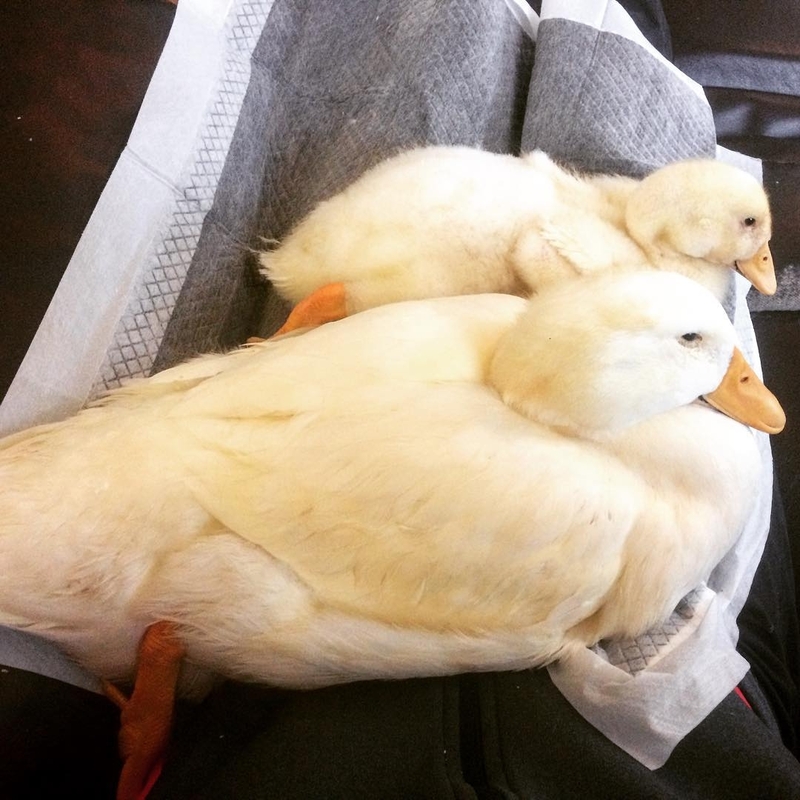 Linda is an 11-week old Pekin duck who lives inside as a house duck with her older brother, Harry. Late one afternoon, Linda and Harry were foraging around in the grass nearby the riding arena, where their owner was teaching horseback riding lessons. Suddenly without warning, a dog on the scene grabbed Linda. Fortunately, her owner witnessed it happen and was able to get to Linda very quickly. 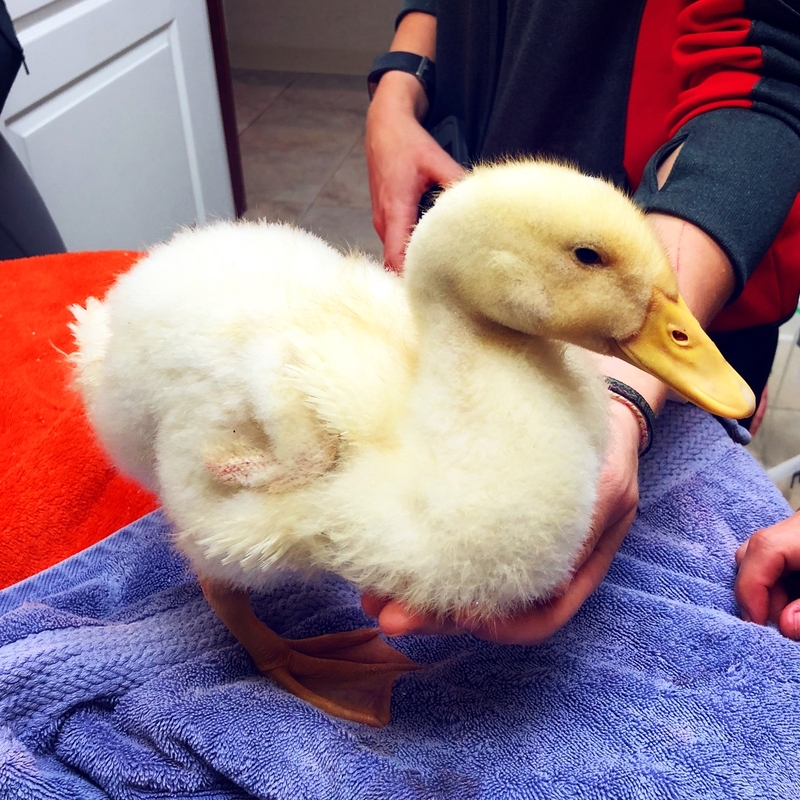 Linda was immediately taken to the Pleasantville Animal Hospital of Fallston as an emergency case. Upon arrival, Dr. Rebecca Gounaris initially assessed Linda’s mental status---and found her alert, but subdued. She proceeded to give Linda a thorough physical exam in order to evaluate the extent of her injuries. 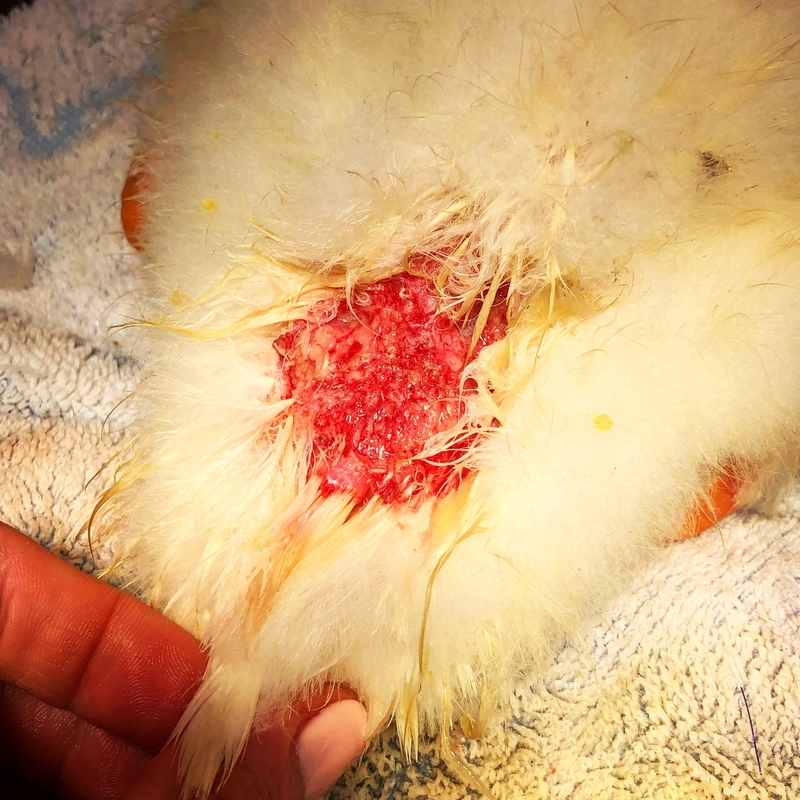 Dr. Gounaris found a rug-burn type wound over the duckling’s tail, and an open wound right near her vent/cloaca, which is the area in which birds excrete waste. 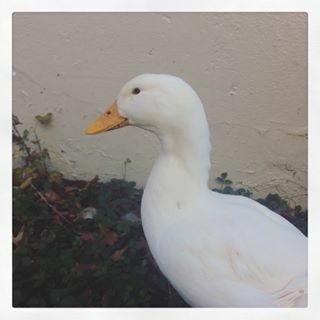 She was concerned about the vent wound, as the attack actually had torn a hole in the cloaca itself, and if not repaired properly, Linda would not be able to pass droppings normally. 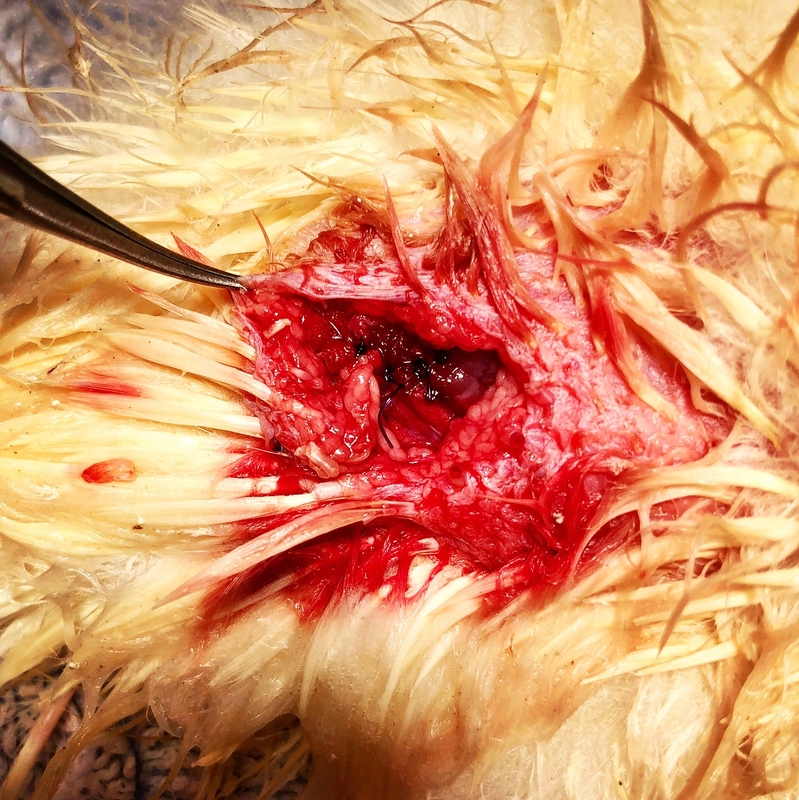 Luckily Dr. Gounaris was able to suture up Linda’s cloaca and subsequent skin under anesthesia. 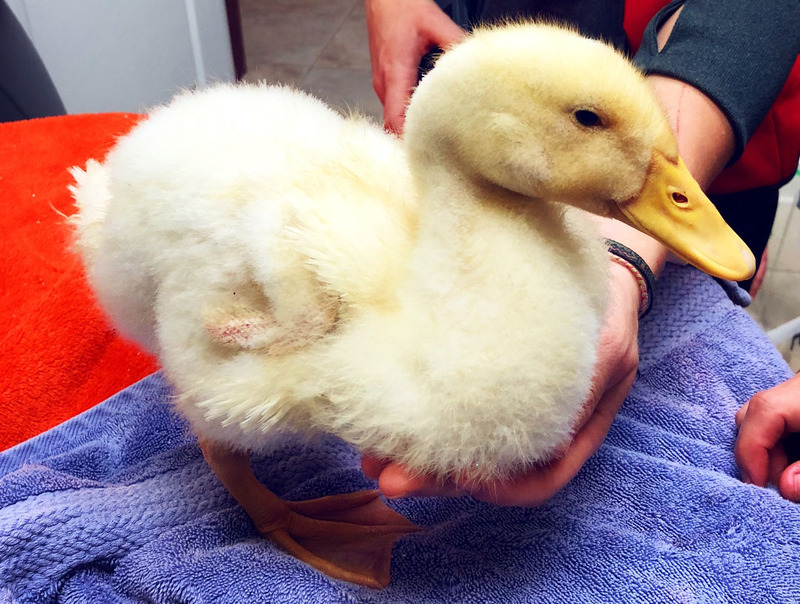 “The rug-burn wound was too raw, and there was not enough surrounding skin to stitch up the wound, so we left it open to heal on its own (second intention),” Dr. Gounaris explained. 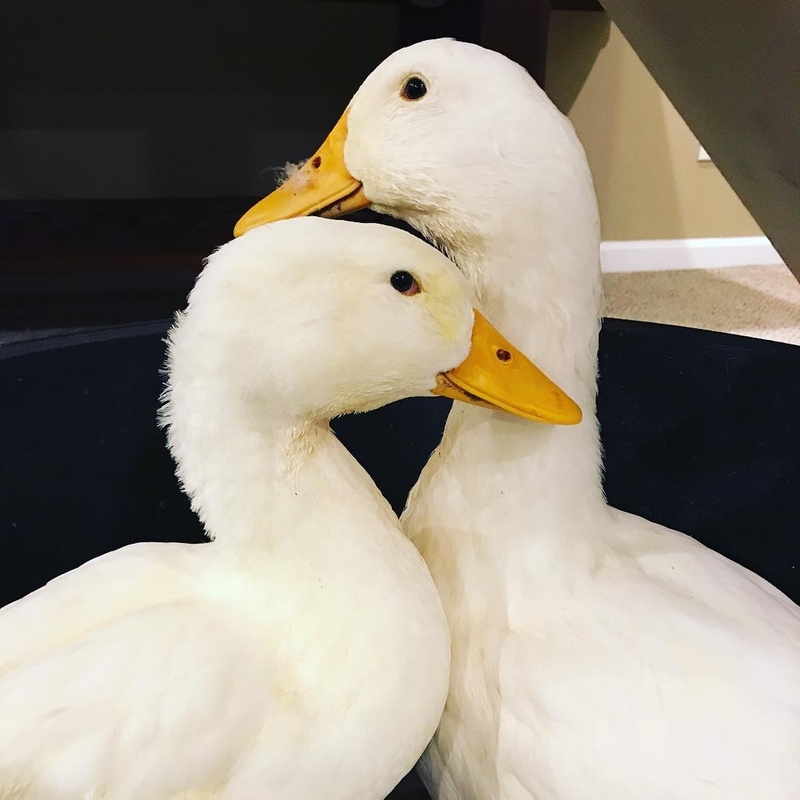 Dogs are known for harboring a variety of potentially harmful bacterial organisms in their mouths, which get passed to the bird during the attack. Some of the most frequent are from the Pasteurella, Streptococcus, and Staphylococcus genus. 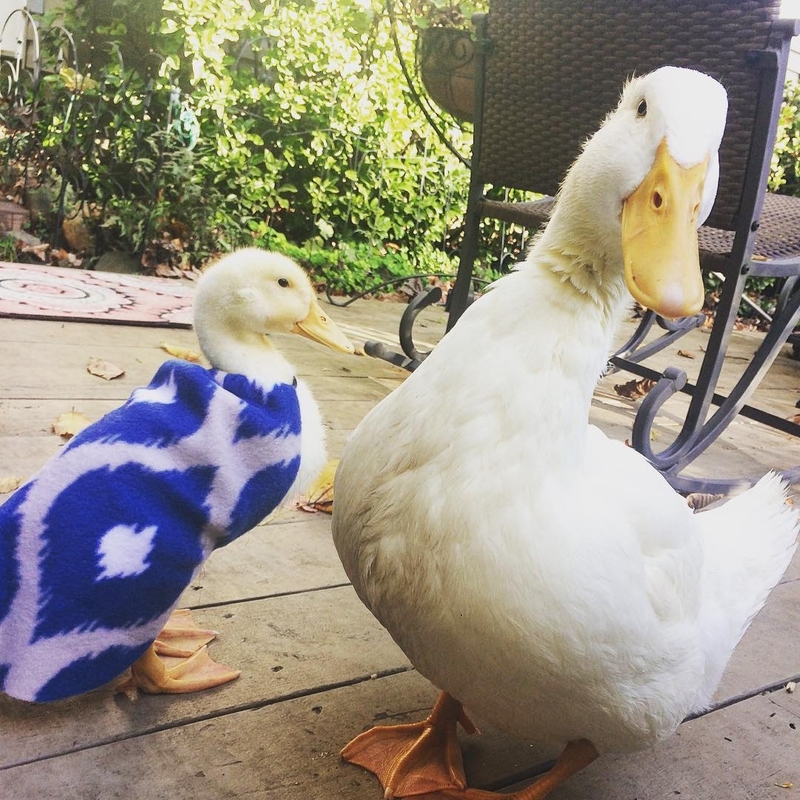 Once back at home, Linda’s humans’ made sure to keep Linda’s injury clean and dry—which included no swimming! They applied Manuka honey to the injury on a daily basis to help encourage healing. 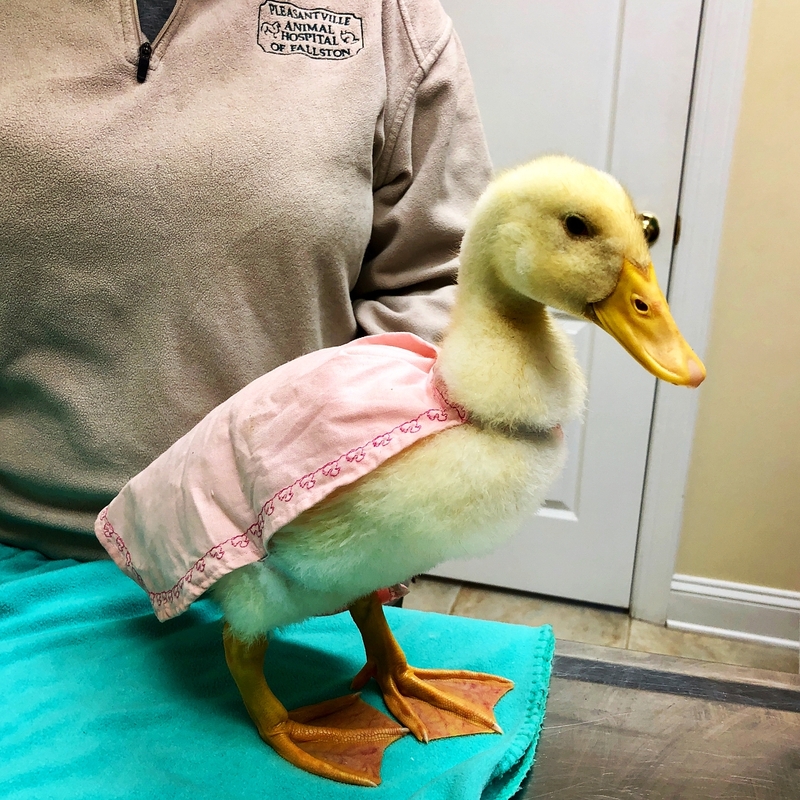 To help keep Linda from picking at her injury, they came up with an adorable cape for her to wear that covered the wound to help protect it. 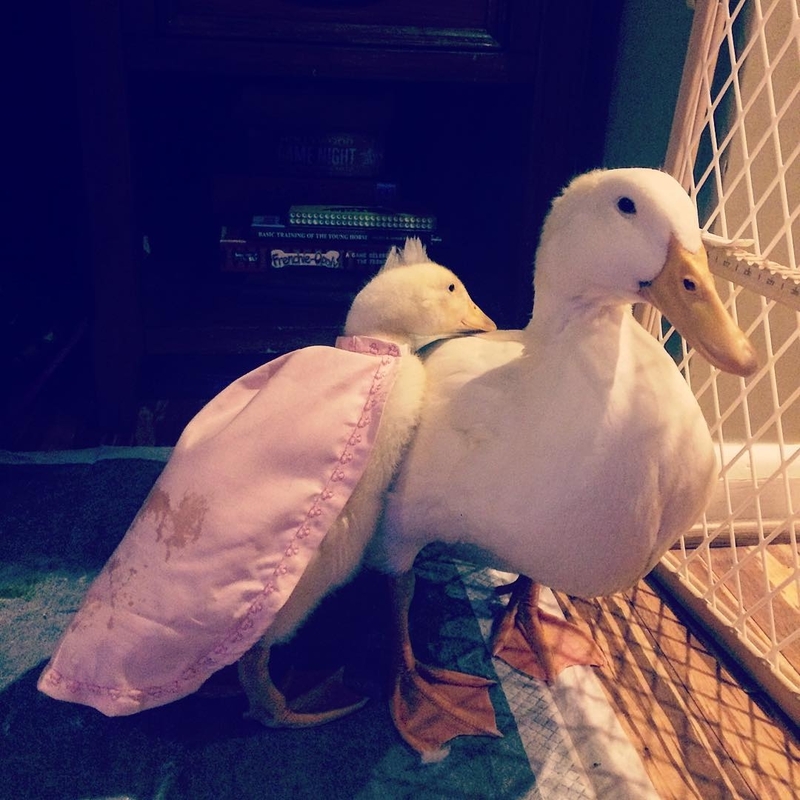 Linda in her adorable protective pink cape! 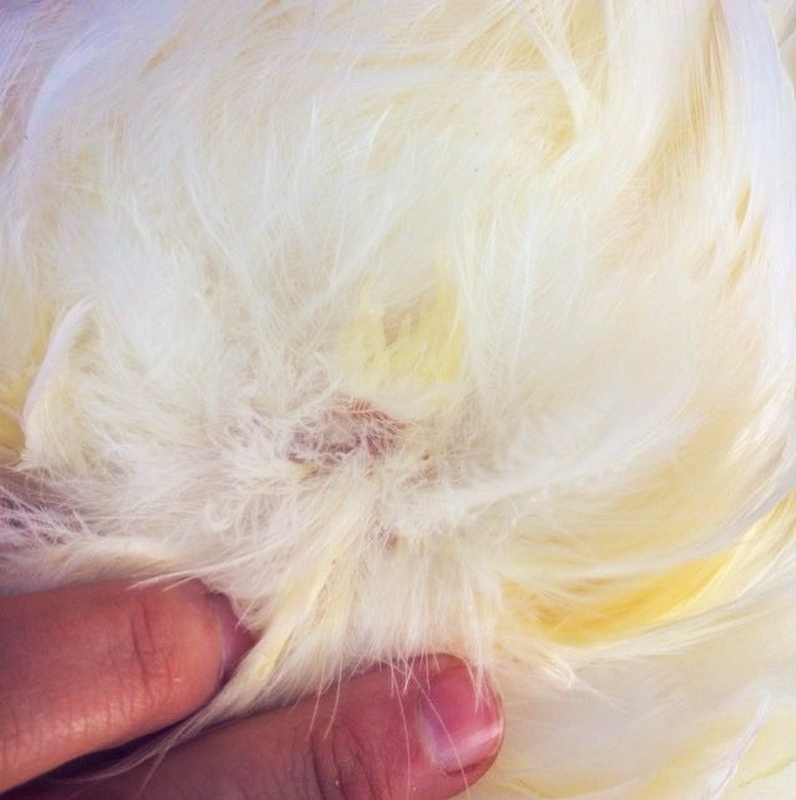 Within 5-7 days, Linda’s feathers were already growing in. 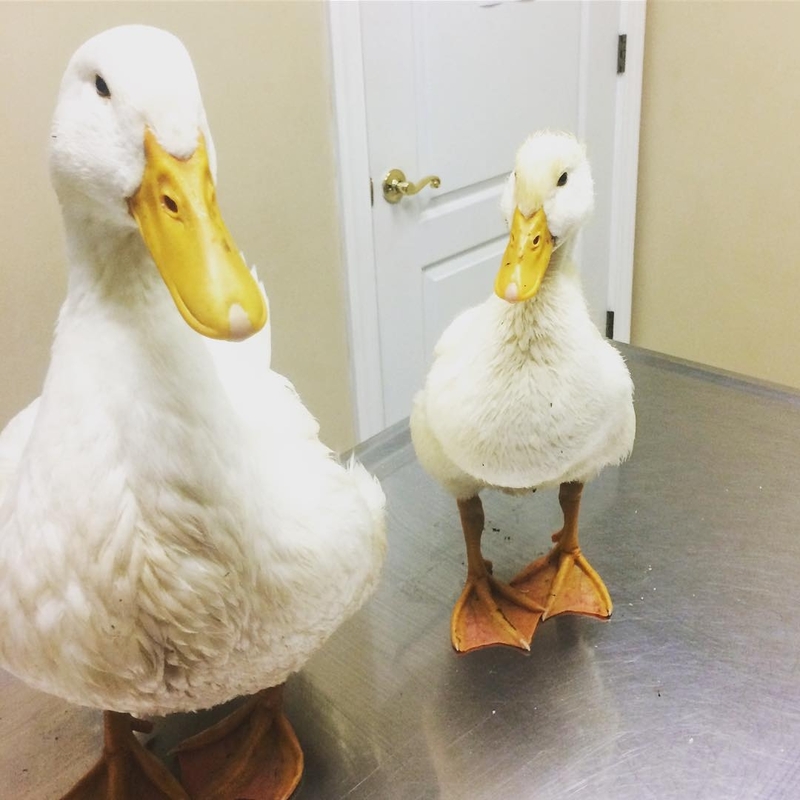 Linda went back for a progress check up with Dr. Gounaris 9 days after her initial injury. Her wound was healing wonderfully and there was no complications. By week 3, Linda’s wound had fully healed. She also grew quite a bit and made a transformation herself. 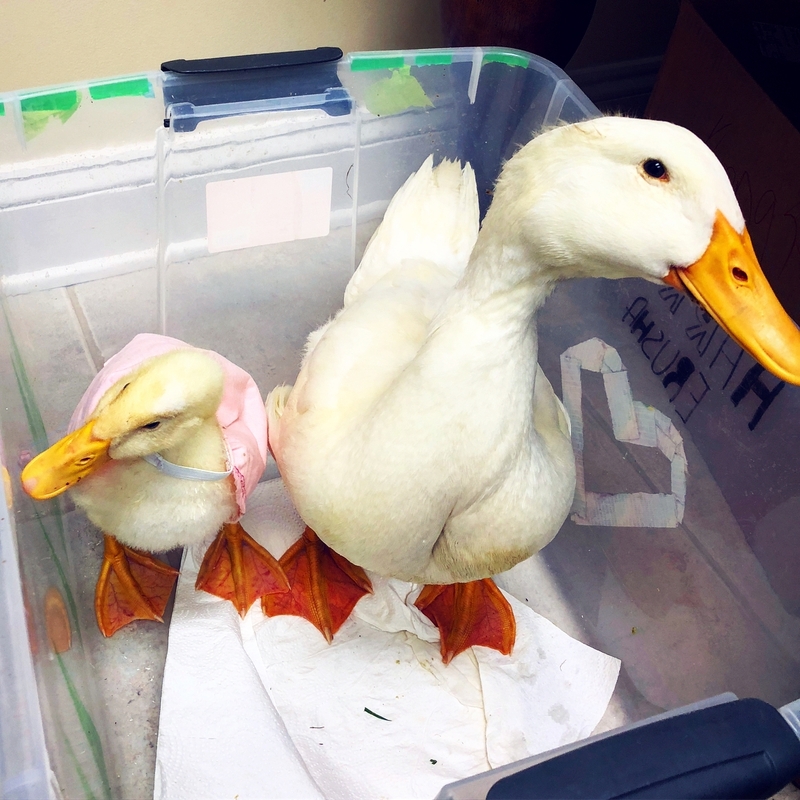 “This was a wonderful case we wanted to share, due to the owners’ quick response time and nursing care at home, Linda wounds recovered beautifully!” said Dr. Dr. Gounaris. 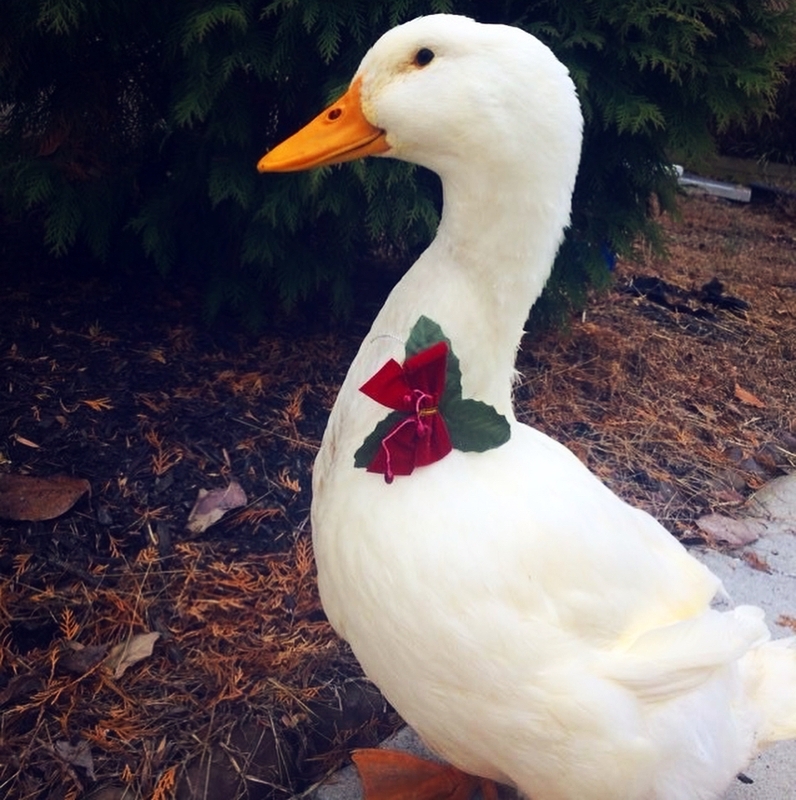 You can follow Linda and his friends at @gerry_ducks!! !